Standing out in the mind of a casting director requires attention to detail, technical skill, and having the right combination of exactly what they are looking for. A self-taped audition allows an actor to get in front of a director in a more controlled audition setting. Creating the right tape is crucial in catching their eye and getting a coveted callback. Technically perfect – Even the best acting can be upstaged by poor lighting, bad sound quality, a poorly framed video and technically sub-par footage. If the director needs to adjust their computer or television to hear or see your audition, they may just move on to the next actor’s tape. 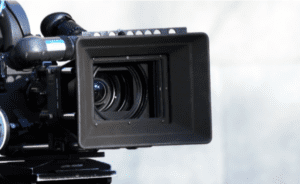 The right equipment – In order to create a properly executed self-taped audition, there are a few pieces of equipment that are necessary. A quality camera with a good microphone is a must. Use a tripod so that your footage is steady and find an area with good lighting (or invest in lighting). Additionally, choose the background carefully. A busy or loud color can be very distracting to the viewer. Finally, take some time to pick out your wardrobe. Make sure it does not clash with the background or wash out your skin tone. Know your part – While it is important to have your part memorized, it is also important to keep the script close by. Your part is a work in progress and is not a fully developed character yet. Having the script in-hand speaks to your ability to flexible and adaptable as an actor. Skip the slate – Using a slate will make your tape look amateur. 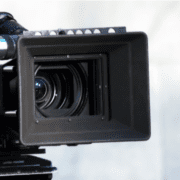 Unless you are asked to use one in your audition self-tape, plan to go without it. Do as you are told – The quickest way into the trash bin is not following instructions. Self-tape requests often come with very specific details regarding what is expected by the casting director. A good rule is to do everything that is asked, no matter how silly it might seem. Failure to follow directions is the easiest way to get your tape rejected. Preparedness – No matter what, being prepared for that moment, is ultimately the only thing the artist is in control over. How well you prepare prior to the actual tape is extremely important. Keep your reader close – Keep your reader just off camera so that they are not seen, but their lines can be heard on the tape. If you need more tips on how to create a call-back quality self-taped audition, Check out the CGTV website for helpful tips.